Docker For Mac 17.12 GA Release is now available for the general public. Experimental Kubernetes Support is available only on Edge Release. You can now run a single-node Kubernetes cluster from the “Kubernetes” Pane in Docker For Mac Preferences and use kubectl commands as well as docker commands. This means that there is no need of installing Kubectl or related Kubernetes CLI commands. It is ready-to-use platform which gives developers a simple and fast way to build and test Kubernetes apps locally with the latest and greatest Docker. Before Docker for Mac 17.12 release, for anyone who wants to get started with single node Kubernetes cluster, Minikube was an ideal tool. Minikube is a great local development environment and a way to learn the most common commands that help you to bring up a single node K8s cluster. To use Minikube, one needed a hypervisor and a container solution as well as the Kubernetes command-line tool called kubectl. Now these tools has to be manually installed on your Linux/MacOS. But with the arrival of Kubernetes powered Docker for Mac 17.12, you no longer need these 3rd party tools & hypervisor to be installed or configured. Just update your Docker for Mac to 17.12 release and there you have ready-to-use single node Kubernetes cluster already up and running. The Kubernetes server runs within a Docker container on your Mac, and is only for local testing. When Kubernetes support is enabled, you can deploy your workloads, in parallel, on Kubernetes, Swarm, and as standalone containers. Enabling or disabling the Kubernetes server does not affect your other workloads. A Little about Kubernetes in 2018..
Kubernetes is not a mere orchestration system, in fact, it eliminates the need for orchestration. If you look at the technical definition of orchestration in wikipedia, it is all about the execution of a defined workflow: first do X, then Y, then Z. But in contrast, Kubernetes is comprised of a set of independent, composable control processes that continuously drive the current state towards the provided desired state. It shouldn’t matter how you get from X to Z. No need of any centralised control. This results in a system that is easier to use and more powerful, robust, resilient, and extensible. Kubernetes is not monolithic, and these default solutions are optional and pluggable. Kubernetes operates on a declarative model, object specifications provided in so called manifest files declare how you want the cluster to look. 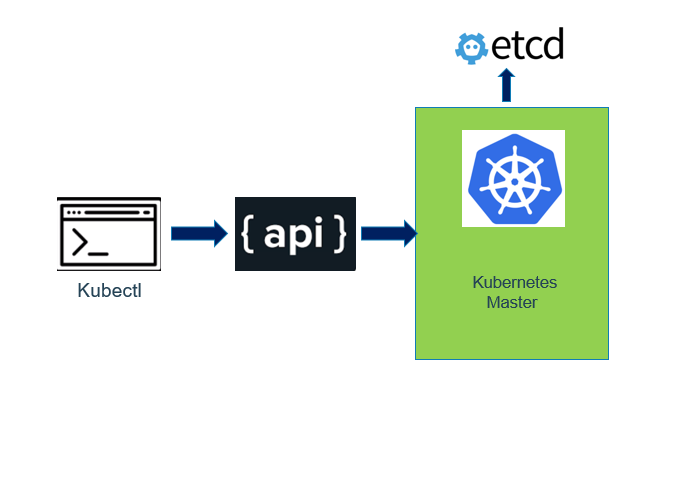 Kubernetes aims to support an extremely diverse variety of workloads, including stateless, stateful, and data-processing workloads.If an application can run in a container, it should run great on Kubernetes. Yes, you read it right. For anyone who want to configure a Docker dev environment and build, test and debug containerized apps, Docker for Mac is a great platform to get started with. Under this blog post, I will show how to build a simple Web Application Server running on a Single Node K8s cluster. Let’ begin with a clean Docker for Mac 17.12 system. I am running macOS High Sierra version 10.13.1.Follow the below link if you are setting up Kubernetes on Docker for Mac 17.12 for the first time. This section assumes that you are well versed with Kubernetes architectureand concepts. We will start with a clean MacOS system, hence there is no POD, no deployment and just default Kubernetes service running on your machine. It’s time to create our first Pod..
Normal  SuccessfulMountVolume  1m    kubelet, docker-for-desktop  MountVolume.SetUp succeeded for volume "default-token-4v6r8"
Normal  Pulling                1m    kubelet, docker-for-desktop  pulling image "ajeetraina/webdemo"
Normal  Pulled                 1m    kubelet, docker-for-desktop  Successfully pulled image "ajeetraina/webdemo"
Done. You have created your first Single Node web application cluster running on Kubernetes powered Docker for Mac Platform. Did you find 3-minutes still time-consuming? Do visit the below post to see how docker stack deploy can save your time.